Google “How to be happier” and, before you’re even finished typing, “How to be happier at work” is the first suggestion to pop up. Happiness at work is evidently on A LOT of people’s minds. 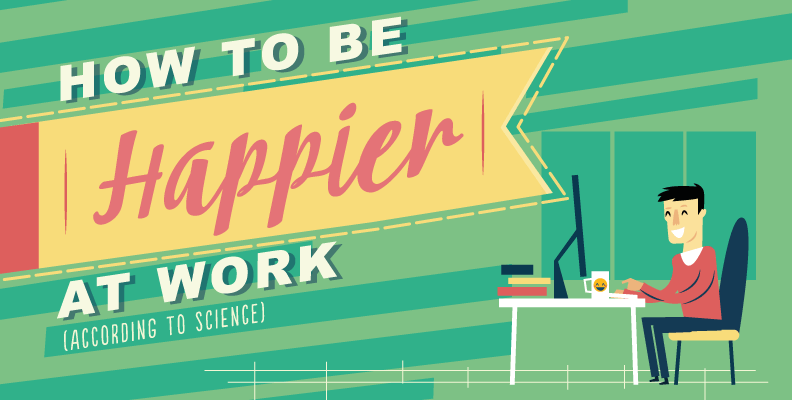 Considering you’re going to spend at least half your waking hours each weekday at work, you might as well make sure you’re doing your best to be happy.